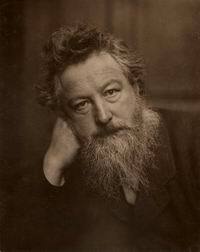 Birth of William Morris (1834-1896), British artist, designer, author, and socialist. Morris sees work as a necessity of human life, not merely as a means of obtaining a livelihood. He maintains that nothing should be made which is not worth making, or which must be made by labour degrading to the makers. 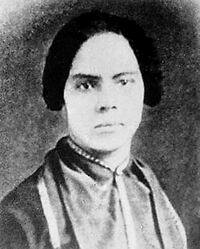 The abolitionist newspaper the Provincial Freeman is founded by Mary Ann Shadd and Isaac Shadd in Windsor, Ontario. Published from 1853 to 1857, the Provincial Freeman proclaims itself “Devoted to Anti-Slavery, Temperance, and General Literature.” Mary Ann Shadd is the first African-American woman publisher in North America. 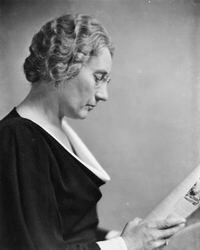 Birth of Agnes Macphail (1890-1954), social reformer, journalist, and politician, an advocate for farmers, women, miners, immigrants, and prisoners, the first woman elected to Canada’s House of Commons. Birth of Wilhelm Reich (1897-1957), radical psychiatrist, psychoanalyst and author, originator of controversial theories about sexuality and orgasms. Wilhelm Reich: What is Class Consciousness? Canadian women over the age of 21 get the right to vote in federal elections. Excluded are Native (First Nations) women, and women not born in Canada. 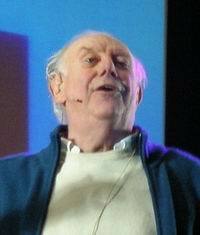 The Duplessis government in Quebec passes the ‘Padlock Act’: anyone convicted of printing or publishing matter propagating communism is subject to imprisonment for one year, without appeal; any building used for propagating communism or bolshevism can be closed for one year by the attorney general. The law is declared unconstitutional in 1957, not because it is repressive, but because the Supreme Court says that this kind of repressive law can only be passed by the federal government. The Ann Arbor Teach-in, the first teach-in on the Vietnam War. Anti-war faculty at the University of Michigan, after originally considering a tactic of not teaching for a day as a protest against the war, decide instead to hold an intensive series of lectures, debates, and discussions. More than 3,000 students take part, including a small group of pro-war protesters who try to disrupt the discussions by heckling and chanting. The event is so successful in raising awareness of the war that the Teach-in tactic is widely adopted on other campuses. 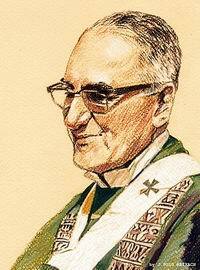 Archbishop Oscar Romero is assassinated by a right-wing death squad in El Salvador, one day after delivering a sermon in which he called on Salvadoran soldiers to obey God, and stop participating in the government’s repression and violations of human rights. The oil tanker Exxon Valdez runs aground in Prince William Sound and spills hundreds of millions of barrels of crude oil along the Alaskan coast. Immediate effects include the deaths of 100,000 to 250,000 seabirds, thousands of marine mammals, and an unknown number of fish. Long-term effects still continue. A court ruling orders Exxon to pay $287 million in actual damages and $5 billion in punitive damages, equivalent to one year’s profit for the company. Exxon spends the next 20 years fighting the case; in the end, the capitalist courts reduce the punitive damages to one-tenth the original amount. U.S. and NATO aircraft begin a major bombing campaign against Serbia and against Serb positions in the secessionist Serbian province of Kosovo. The bombing, illegal under international law, continues until June 10.